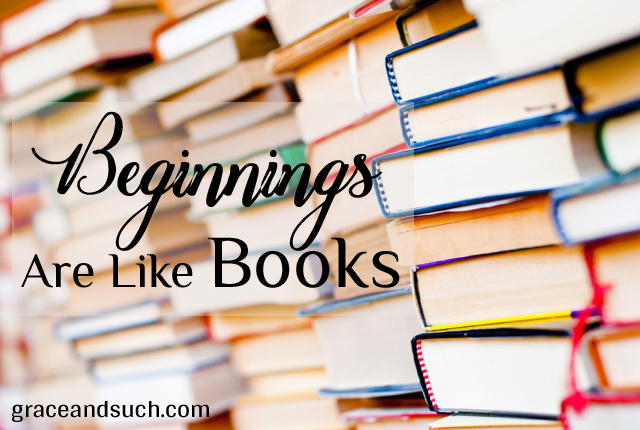 Every time I think of beginnings, I think of the beginning of a book. You have no idea what is going to happen, you don’t know how things will end, you don’t know how madly you’re going to fall in love with the characters. As a lot of my friends know, I love Harry Potter. (Like a lot. Like I’m slightly obsessed. Okay, really obsessed. Like my friends ask me really obscure questions and I most likely know the answer. It’s okay. I know I’m weird and I’ve embraced it.) Every time I started a Harry Potter book I was ridiculously giddy. I couldn’t wait to see what the book would hold for me, even though I had already seen the movies and knew what was going to happen. But it was the idea of experiencing it for myself that made me so excited. 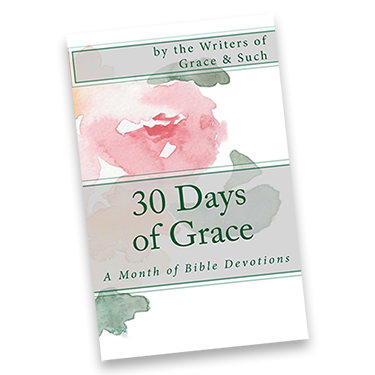 [pullquote width=”300″ float=”right”]There are so many things that God has planned for us. Like any story, there are going to be highs and there are going to be lows, but through him, our story will be victorious at the end. [/pullquote]As of recently, I’ve started to apply that to my life. I know I’ve said it before but I’ll say it again until I’m blue in the face: I’m a control freak. So instead of letting God lead me in his plan, I try to make my own plan. But that’s not what He wants. There are so many things that God has planned for us. Like any story, there are going to be highs and there are going to be lows, but through him, our story will be victorious at the end. He writes certain people into our lives that may be there for a little while or for a long while, but each teach us something new. He writes certain pitfalls, only to bring us out of them again, so we can look back and see that he was there through it. He lets us make mistakes, so that we can learn from them and (hopefully) not make them again, but if we do it’s totally okay. But most of all, he writes our stories to reflect Him. I stumbled upon this song the other day called My Story by Big Daddy Weave (here is my shameless plug to tell you to watch the music video right now and listen to it. No worries, I can wait!). The song talks about how our stories reflect God and everything that he’s done for us. How, through our stories, God can be seen. To me, this goes hand in hand with letting God write our stories, because when He writes the story, it will reflect him. It’s not our job to write our stories, it’s God’s. He just wants us to give him the pen and for us to just enjoy the story. I love this, Katie! Never would have thought about approaching life in this way. Such a great perspective! Love this. Thanks for your perspective and the video. It’s a great way to start the day. It’s so very hard to hand over the pen, until you realize you never had the pen to begin with. Thanks for sharing. Very nice post her Katie……and great song!! I have created the chord chart for it so whenever you are ready to sing it, I am ready to play!! Say what? Katie, you have made a connection! Go, girl! Thanks for the post and song, Katie. Love BDW, and Harry Potter, actually. Love that Jesus is the author and perfecter of our faith and our stories. Not to sound condescending, but you are wise beyond your years if you get this now. Many of us (ok – I) have to live through a few dozen more years and detours before we realize who holds the pen. love this. I’ve run out of ink several times and God has always been there to hand me another pen. I just have to learn to throw the old pen out sooner. (This may only make sense to me, but I get it). It’s taken me into my 40’s to get that I’m not the author, just the girl taking dictation. Sometimes I just try to write my own story so I can write it how I please. It never works out quite how I imagined it. Katie – thanks for sharing the video. Loved that song, new to me. “Tell of the grace that overcomes my sin.” Love. And I covet that old typewriter. I do. Really. I am not kidding! Love me some Big Daddy Weave- Overwhelmed speaks to my heart. You are so wise Katie, what an amazing story God is unfolding in your life. Keep writing, you’re talented like your Mama.